At Hull and East Riding Mumbler we are always looking to ‘spread the word’ so if you know of a pub, restaurant or cafe that should be included in this listing then please contact us here. Henry Boot Way, Priory Way, Hull, HU4 7DY. The VILLAGE Hull offers 2 dining options for the family, the VILLAGE Pub and the VERVE Grill. Both outlets offer a children’s menu and we cater for gluten free and special diets. Why not try our ‘all you can eat’ Sunday carvery, perfect for a family get together! Nice and spacious for prams, accommodating with children. 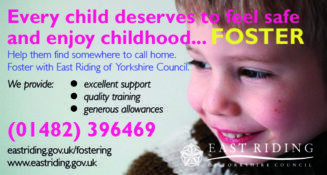 Find out more on their website here or call them on 01482 427110. 100% Vegan Cafe which also caters for people with particular dietary requirements such as gluten, soya, nut, dairy & egg free. Large room with seating upstairs, and space downstairs to park pushchairs, with booster seats available for children over 6 months. Family and dog friendly, with toys and pens available for children, as well as small seats. Good cafe with highchairs and baby change, lift to get up with a pram. 8 Wednesday Market, Beverley. 07421 225900. Lots of space and very welcoming to parents, babies and children. Very child friendly independent cafe and deli, good high chairs and baby change. The Drewton Estate, South Cave, HU15 2AG. 01430 425079. Located on the road from South Cave to Market Weighton. The restaurant is open daily 9am-5pm (10am-4pm Sundays). The menu has good children’s options, there are baby changing facilities available, and pushchairs can also be accommodated (worth booking in advance to secure a suitable table), and it adjoins a great farm shop with local food and gifts. Themed events are also run throughout the year, and there is a private conservatory suitable for small parties. East Riding Theatre, Lord Roberts Road, Beverley. 01482 874050. Good coffee, nice breakfast/lunches, reasonably priced, lots of space for prams, a box of toys, a couple of high chairs and a baby change. Plus the added bonus that you are supporting the local theatre, which is run as a charity. Very welcoming to families, good children’s menu and children’s meals are large portions/good value for money. Kids eat for £1 Monday to Friday, separate back room that appeals to families and lots of high chairs. 256 Hull Road, Anlaby Common, Hull. Serves great coffee, breakfast, and lunch, they also have a child menu. Good for groups or parties. Child and breast feeding friendly, baby change facilities, and a toy/book corner. Open Monday to Friday 8.30am-3.30pm, Saturday 9am-2pm. Closed on Sundays. Beverley – 25 Butcher Row, Beverley, HU17 0AA. Spacious and accommodating for children, have colouring sheets and pens and good children’s snacks. Good baby change facilities too. Lovely cafe, open from 9am – 5pm. Very good with children, and good for groups or parties. Indoor and outdoor seating. Serves breakfast, lunch, dinner, drinks and coffee. There used to be an adjoining farm shop but this is now an evening bistro. 117 Hallgate, Cottingham. 01482 841244. Cosy, independent cafe in Cottingham serving excellent food. Very welcoming to children. Always accommodating for children, with a good kids menu and activity packs. They also have baby changing facilities. Excellent food including amazing cakes and great children’s menu. Children’s toy box and high chairs. Courtyard to explore and playground/field adjacent. Both do excellent food and are family orientated. The Beverley Sleepers is very spacious and usually full of mums with prams midweek! Open daily 9.00-5.30, Sundays 10.00-4pm. Good garden centre, farm shop, cafe and animals. Also sells a large selection of children’s toys and great for Christmas decorations and lights. Lucy’s Coffee Shop is very child friendly with an outdoor play area next to it. Small animal barn outside. Lovely coffee shop on the main street through Hedon. Very child friendly with books/toys upstairs, good choice for children on the menu, high chairs and has a Breastfeeding Friendly certificate. Auburn Farm, Fraisthorpe, near Bridlington. Cafe located at Fraisthorpe beach, just south of Bridlington. Ideal to combine a family trip to this quieter beach or a walk from Fraisthorpe up to South Shore with a visit to this cafe. Stylish and modern whilst being cosy and welcoming. Child friendly and dog friendly and the best sausage rolls Mumbler has ever had! Check their facebook page or website for opening times (closes in January). The Ferry Inn, 20 Station Road, Brough. Very family friendly pub, good kids meals and regularly hold extra family events. Also look out for their Kids Eat Free offer in School Holidays. Family friendly pub, nice food with good children’s menu and facilities. Outdoor play area and two toy machines for children. They no longer have the indoor soft play. Good food. Lots of space for prams, welcoming to families. Cliff Lane, Mappleton. 01964 533424. Lovely, friendly cafe, very reasonably priced. Children’s menu, high chairs, and a children’s toy box. A few indoor tables (more planned for Spring 2019), plenty of seating outside including covered area. Cafe and coffee shop at South Cave Plant Centre. 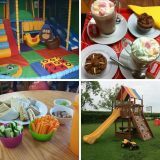 We have a small soft play area ideal for under fives, and a full children’s menu is available. Great value home cooked food for children of all ages. Excellent family friendly pub. Good value children’s meals, high chairs, very helpful staff. Champney Road, Beverley, HU17 8HE. Good cafe upstairs (there is a lift) with good baby change facilities. Good hot and cold menu with children’s options. Wingfield Farm, Boothferry Road, Hessle, HU13 0JL. Open for breakfast and all day carvery, plus amazing cakes and ice creams. Very child friendly, children’s play area inside with toys and activities. Also run a free playgroup with singing and crafts on a Wednesday morning 9.30 – 11.00.